What Are the Pros and Cons of Being Your Own Contractor? On so many levels, the do-it-yourself approach is a great way to tackle home remodeling projects. Homeowners today routinely take on heavy, complex projects formerly reserved only for contractors and specialists such as floor installation, wall removal, and window replacement. Do-it-yourself remodeling not only saves you money but it can be highly rewarding to enjoy the results of your own labor. Does the do-it-yourself approach extend to being your own contractor, one of the most complex home remodeling tasks of all? It helps to know all aspects before you plunge ahead with this seemingly simple task. Money: The prospect of saving money on home remodeling is the chief motivator behind acting as your own contractor. When you take on other do-it-yourself jobs, you save a healthy amount of money, but the total dollar figure for the job often isn't that much to begin with. For example, if you sand your own floors rather than hiring a crew, you may save several hundred dollars, depending on the size of your floors. But the amount of money you save by acting as your own contractor is nothing short of staggering. Figuring a 20-percent contractor's commission for a modest room addition costing $200,000, you would save $40,000 by acting as your own contractor. If that commission were 30-percent, you will have saved $60,000. The money saved on a contractor's commission can be applied to higher-end materials on your home, additional remodels, repairs, or even for other parts of your life. Control: No matter how much the contractor tries to be an instrument of your desires, you will lose some degree of control. Even in the best contractor-client relationship, some communication is always lost in translation. By acting as your own contractor, you have total control over every aspect of the project, from start to finish. Contacts: By acting as your own contractor, you build up a contact list of names and numbers of companies and individuals who can help you later on with other projects, such as installing flooring or windows, painting, drywall, or landscaping. Experience: It only looks like contractors do nothing more than schedule the tradespeople. Yet even if that were true, their experience at scheduling would be invaluable. Contractors have a wealth of experience that is often hard-won. Instead of starting from scratch, you can buy into years or decades of experience for the cost of the contractor's commission. Connections: With experience comes connections. Seasoned contractors operate in a social network that you are not part of. If you go to the permit office, you may find that no one will see you immediately. But if the contractor goes to the permit office, doors may suddenly open. This is not to suggest back-room dealing. What it means, though, is that regulators and contractors speak the same language. They might see each other several times a month. And hopefully, they have a history of goodwill built up between each other. Peace of Mind: Large home improvement projects are arduous and can place an enormous strain on family and relationships. One benefit of paying the commission to the contractor is that the contractor insulates you from some of the unpleasant aspects of home remodeling. Families and couples tend to be happier when they can gain some separation from protracted jobs like building an addition. Time Management: Any project, no matter how large or small, can become nerve-wracking the minute you impose a time constraint on it. If you are remodeling a second kitchen located in the basement or a guest bedroom, you may have lots of time to slowly pick away at it. But if you are remodeling your only kitchen, time is of the essence. This project must be done as fast as possible. Every day that your kitchen is out of order means another restaurant meal or frozen dinner prepared in the microwave. It is in your best interests to tightly schedule your remodel so that it takes as little time as possible. 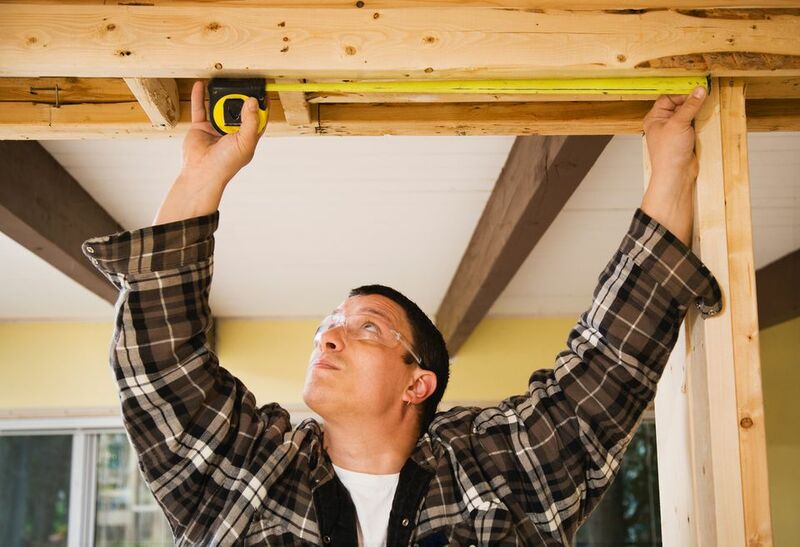 Most likely, a contractor is even more motivated than you to get the job done fast. The more time spent on your job means less time spent on other projects. Contractors need to keep their job queue moving not only to make money for themselves but to pay their sub-contractors.